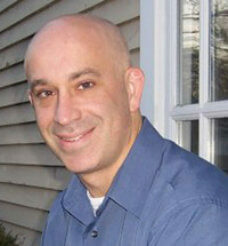 Mark Dufresne graduated from the University of New England in 1984 with a Bachelor of Science in Physical Therapy. He began to specialize in orthopedics in 1987, which led him to join Rick Carlson in his private practice. In 1993, Mark opened the Carlson Therapy office in Bethel, CT.
Mark has extensive experience in treating injuries associated with spinal dysfunction, chronic pain, headaches, and general orthopedic and sports medicine injuries. Mark’s specializes in Manual Therapy (IMT) and uses this approach with all patients. He has participated in extensive post-graduate education, ranging from Sports Medicine to Myofascial Release. He has vast experience with orthopedic injuries, such as Post OP Arthroscopic Surgery, Reconstruction, Joint Replacement, and Sports Injuries from the high school athlete to the weekend warrior. Mark has a special interest in spinal dysfunction, chronic and complex orthopedic injuries and incontinence issues.